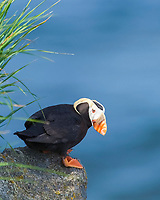 The tufted puffin, or crested puffin, Fratercula cirrhata, is an abundant seabird in the auk family, Alcidae. 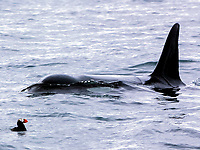 It is found throughout the North Pacific Ocean. 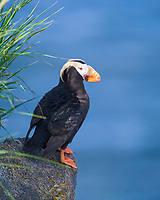 It is characterized by its red/orange bill and golden/blond tufts.